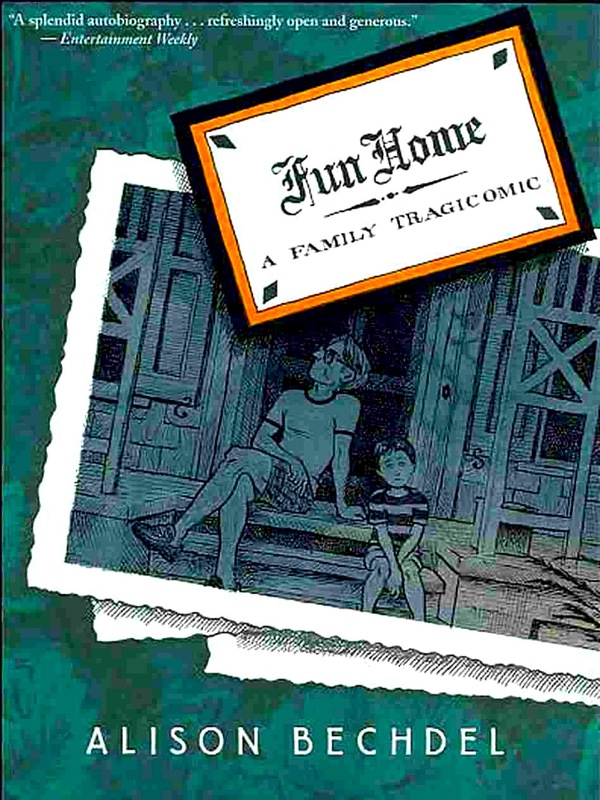 Fun Home: A Family Tragicomic is an autobiographical account of Alison Bechdel’s childhood in rural Pennsylvania in the 1960s and 1970s. It’s a complex, layered work that primarily examines her relationship with her father, both during his life and after his death. Bruce Bechdel ran a funeral home, which the family called the “Fun Home”, started by his grandfather in the 19th century. Steeped in local history and concerned with the historic preservation of their town, he taught English Literature at the local high school. 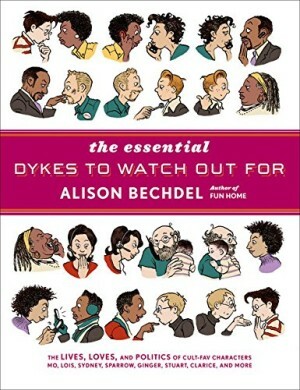 Bechdel’s father was a secretive man, who concealed from his family the fact that he was gay (or bisexual) and had affairs with younger men throughout his life. Alison Bechdel also struggled with her own adolescent sexuality before she came out as a lesbian but her father stayed closeted until his untimely death, the final mystery: accident or suicide, a question that would never be answered. Fun Home is divided into seven chapters, each dealing with a particular theme in her childhood. The adult Alison weaves references to the English Lit that her father taught into the text, describing their relationship in mythic and symbolic terms from the legends of Icarus and Daedalus, Ulysses and The Odyssey (“I was Spartan to my father’s Athenian… butch to his nelly”) to quotes from Proust, Oscar Wilde and Freud. 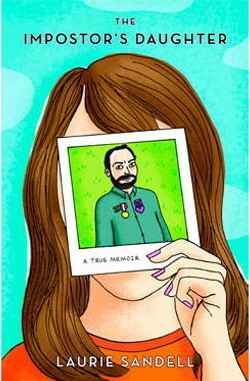 Father and daughter are both opposed and fundamentally linked, but what eventually becomes clear is that the main reason for their very difficult relationship is not their gender identities, but the way he hides the truth about his. Bechdel draws all this mostly in her cartoony, slightly caricatured style, using a more naturalistic detailed rendering for some parts of the narrative – showing found photographs, letters and other family ephemera. 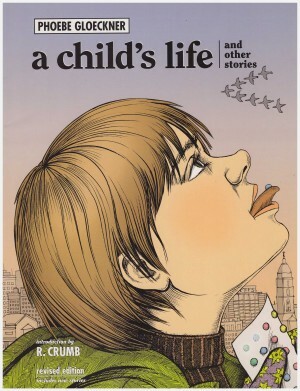 The funny drawings work both to ease the reader into what would otherwise be very heavy-going and challenging material and a way to emphasise the strangeness of her situation. The restricted colour palette also doubles up as decorative element and another organising device. 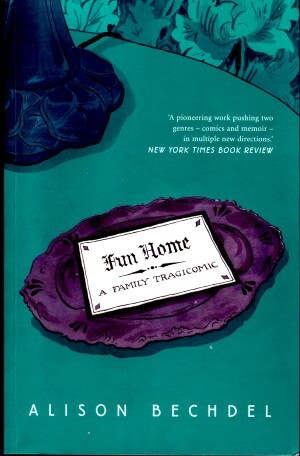 Fun Home is the funeral home and the book as a memorial for a dead father, a reframing of Bechdel’s childhood in the light of new information which provides new insights into her family, an exploration of sexuality, and a walk through some key texts of the literary canon. And all in a dense, multi-branching, time-hopping framework of present and past that uses the mechanics of comic strips to their fullest extent. There is a lot to take in and it is not an easy read, but it is absorbing and rewarding material, providing much to think about. 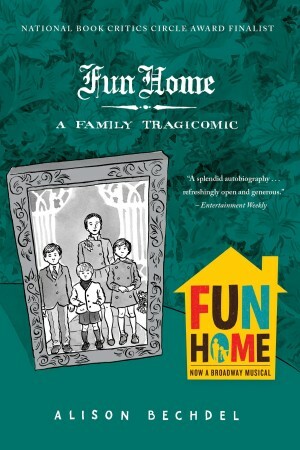 Fun Home was adapted into a Broadway musical in 2014, winning numerous awards. Alison Bechdel also received the MacArthur “genius” grant that year. She dips into similar territory with her follow-up Are You My Mother?